Looking for Sunday newspaper coupons can be fun and you get into a sort of hunters fever, once you realize how much money you can save by applying coupons to all the daily needs you buy anyhow. I’ll tell you a few tricks how to get these coupons at very little or even no cost at all. But first let’s see what comes with a Sunday newspaper. Usually you will find at least three different inserts that contain coupons: Usually you will find inserts from Smart Source, from Red Plum and from Procter & Gamble. You can also see what’s going to be in these insert by consulting a Sunday coupon preview online. Try To Get Multiple Sunday Newspaper Coupons! The key to big savings with coupons is to stock up on items that are not perishable when the price is at its lowest. That means buying maybe six of one item, using six coupons. Now the big question: How do you get six coupons if you have only one insert? The easiest is to ask around with friends and family. Not everybody bothers about coupons, and the ones who don’t use them will be happy to let you have their inserts. An other possibility is to check with you local newspaper merchant and ask him, if you can have the unsold copies of the Sunday papers. And finally, you can find you Sunday newspaper coupons also in the special disposal bins for newspapers. That means you might have to do some dumpster diving, but hey, if you come out with several dollars worth of coupons, who cares? Where To Keep Your Sunday Newspaper Coupons? 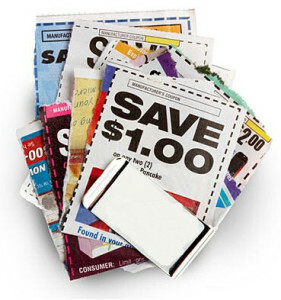 Keeping the overview over your Sunday coupons clipping can be difficult, if the coupons offered are all of interest to you. Best you get organized in some form. Some people get organized by keeping the Sunday newspaper coupons in shoe boxes, divided by store or item type. But that’s a temporary solution at best…. When you need them, you are looking for these Sunday newspaper coupons and can’t find them! Others prefer to use binders and separate them into clearly defined categories. That’s a solution which works a lot better. 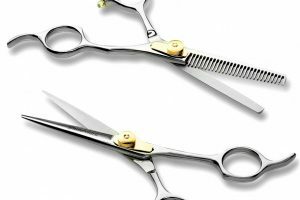 Clipping Sunday newspaper coupons will extend your budget big time! Enjoy savings when shopping every day items. Clipping and organizing your Sunday newspaper coupons will take some time. Every trick to make the process easier and shorten this time is welcome. A friend of mine came up with this method and it works just fine: When you have multiple coupon inserts, first cut the pages apart, then staple all page 1 parts together so that they perfectly match. Now clip the coupons, like this you only cut once instead of i.e. six times to cut the same Sunday newspaper coupon from each page. Once you get the hang of it this is easy and really fast: Using Sunday newspaper coupons will become second nature to you in no time! I’m a single mom. .An want to learn how save money by couponing . How can get printable coupons for free. or some Sundays inserts.